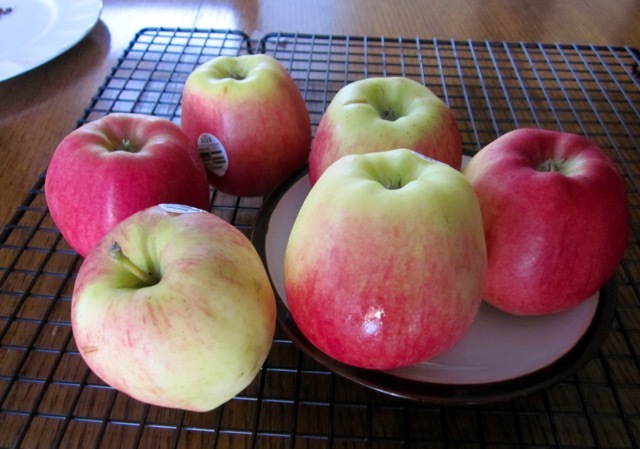 Ambrosia apple was discovered by Wilfred Mennel and his wife Sally as a chance seedling, amongst a row of Jonagold apples, in their orchard in Similkameen Valley of British Columbia, Canada. The chance seedling flourished into a healthy apple tree, and in the early 1990’s, it bore its first fruit. The fruits were so attractive and delicious, so Wilfred Mennel named the apple, Ambrosia, which in Greek mythology means “food of the gods. 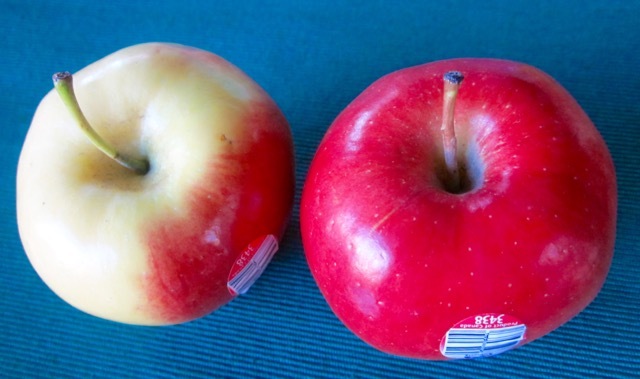 The Mennell family, decided to produce more of the fruit and in 1993, with the help of the Okanagan Plant Improvement Corporation (PICO), the Mennells registered the apple and took it to market. Today Ambrosia apples are grown by farmers in North America, Europe, Chile and New Zealand and are available in stores worldwide. 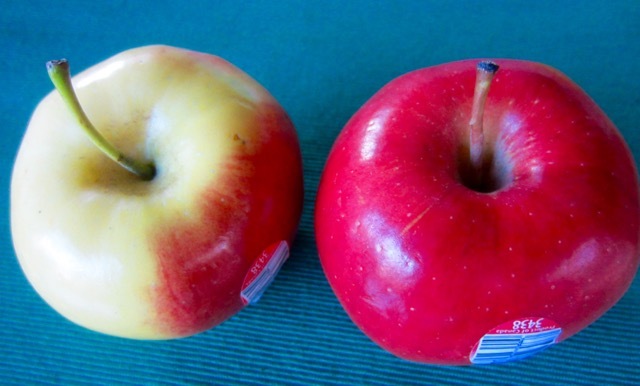 Ambrosia apple is glossy, bi-coloured, mostly red in colour with yellow patches. The flesh is creamy, juicy and delicious, with a sweet low acid level and a wonderful aroma. Since Ambrosia is a low-acid apple, kids and older people find it easier to digest. The apple doesn’t oxidize or turn brown quickly, when cut and exposed to air, so it’s highly recommended for fruit salad and other desserts or for snacking. Store in the refrigerator crisper to ensure they retain their flavour and texture. myfavouritepastime.com Last Updated: October 27, 2018. Thank you. The new guy in town looks cute! I’ve seen these apples before but haven’t purchased them. I’ll have to try them in my next fruit salad. You should try some next time you see them! They do look and sound very tasty! I miss the McIntosh apples, we don’t have them in Australia. 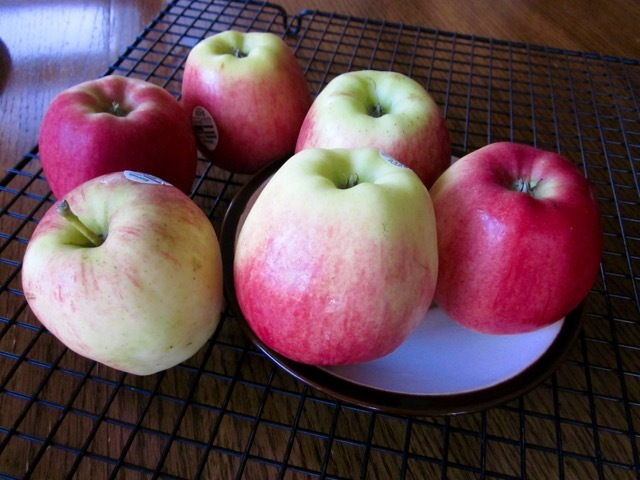 Mcintosh is one of the apples grown in Canada. We have lots and heaps of it!